We are counted as one of the best manufacturers and exporters of Metal Detector. These detectors are used by police and paramilitary forces to detect ferrous & non ferrous metals, bombs, explosive and weapons. Our Metal Detector is designed under the guidance of skilled professionals by using optimum quality materials, in compliance with international quality of standards and norms. In addition, we offer these detectors in qualitative packaging to avoid damage during transportation. With the aim of bringing complete security solutions for our trusted clients. 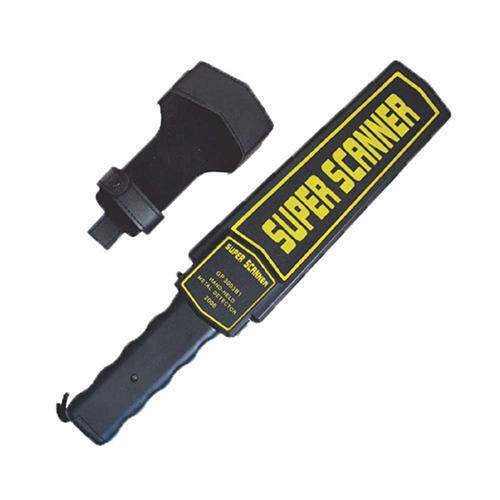 We, Mangal Security Products have established as a prominent exporter, importer, manufacturer and supplier of Breath Alcohol Analyzers, Breath Analyzer with Inbuilt Printer, Speed Radar Guns, Speed Radar Gun With Camera,Shoulder Light and traffic Equiments Transparency Testers, Search Lights, Metal and Door Frame Metal Detectors, Mobile Jammer, Binocular, Explosive Detector, etc. Some of equipments were first of its kind to be launched in India. Our products are utilized extensively in the Police, Defence and Military departments, MNCs, other Industries, Private Detectives. We provide wide range of best quality security gadgets at best Price. Founded by our promoters, Mr. Lalit Singh and Mr. S.K. Aggrawal, we have been serving the industry with a wide range of the best security gadgets. With over a decade of experience and highly specialized knowledge of the field, we offer an entire range of high quality products backed by efficient after sales services for our clients. Outfitted with the best technology and efficient workforce, we bring products for safe and highly productive workspace. Our team of young and dynamic employees work under strictly laid down quality measures, yet with passionate enthusiasm for innovation.